We're piecing together the strands of a fascinating story and, this close to the Christmas break, are still missing one vital link in the chain, but we can confirm that the Morgan Aero 8 looks set to be the latest addition to the FIA GT3 field in 2007. After gaining the required approvals in the latest round of GT Commission paper shuffling, three cars look set to be entered in the car's debut year, the cars being prepared and entered, perhaps surprisingly, by FFSA GT regulars Mirabeau Competition. Morgan's Matthew Parkin was able to confirm that the factory was aware of the planned entry and that it would be entirely a Mirabeau effort: "We're delighted of course that the cars will be racing at this level, but this not a factory programme." We have been unable to contact Mirabeau to confirm any further detail on the GT3 programme, but can confirm via another Gallic source that the team already has an Aero 8 at its workshop: this car is the 2004 Le Mans GT2 car which is being used by Mirabeau for evaluation. That lends itself to a further notion. With GT3 cars being based directly on roadgoing cars, why is Mirabeau assessing a GT2 racer? With Morgan's 100th anniversary coming along in 2009 it seems very likely that consideration is being given to the suitability of the car for further GT2 racing. Could the ACO resist such a historically significant entry from a French team at Le Mans, in 2009? 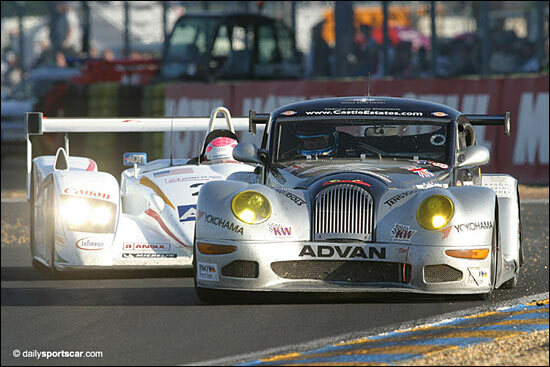 Below is the Morgan Works Team entry at Le Mans in 2004, with Adam Sharpe, Neil Cunningham and Steve Hyde on the way to (an unclassified) 27th place - and about to be passed by Marco Werner in the third placed Champion Audi. 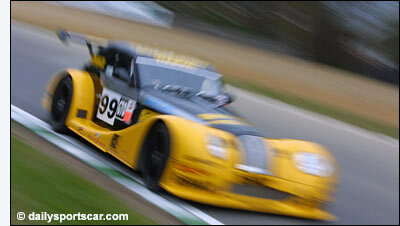 On the right is the 2002 Morgan (running in British GTs in this image), which failed to finish at Le Mans that year after suffering engine failure (Richard Stanton / Steve Hyde / Richard Hay).